The pinnacle of casinos and clubs in Mayfair, the prestigious and renown Crockfords offers exclusive gaming and dining in a truly majestic environment. Established by a working-class man, Crockfords is one of London’s oldest and most exclusive gambling and gentelmen’s clubs, where the rich and the aristocrats of XIX century England gambled away their fortunes. In the 1800s, William Crockford set out to fulfil his vision of creating a gentleman’s club that was fit for a king. For 17 years, Crockford’s was the epitome of exclusivity in London, offering spectacular amenities that gave its diplomatic and aristocratic guests the splendour and elegance they deserved. Today, Crockfords Casino continues William Crockford’s legacy, offering its guests nothing but the best in terms of service and privacy. Whether you’re looking to have a night out in a decked out casino or visit a five-star restaurant, or you just want to simply relax in your own fully-furnished suite, Crockfords boasts a very accommodating environment. Crockfords offers a wide range of gaming facilities, including American Roulette, Blackjack, Baccarat and Poker. The superior gaming experience has led to some of the biggest names in the industry, including celebrated poker player Phil Ivey, to frequent Crockfords Casino and name it as one of their favourite places to gamble. The club’s High Stakes Room also offers further levels of exclusivity, allowing the truly affluent to gamble to their heart’s content. All major currencies are accepted in the casino, but debit and credit cards can also be used for transactions. Continental and English breakfasts are served at the hotel from 7am – 11am, and in the evenings, the Casino’s restaurant opens, offering guests a selection of authentic European, Middle Eastern, Indian and Asian cuisine. The in-house bar also carries a great selection of fine wines and cocktails – perfect for winding down after a long night at the casinos. The beauty of Crockfords also lies within its versatility. 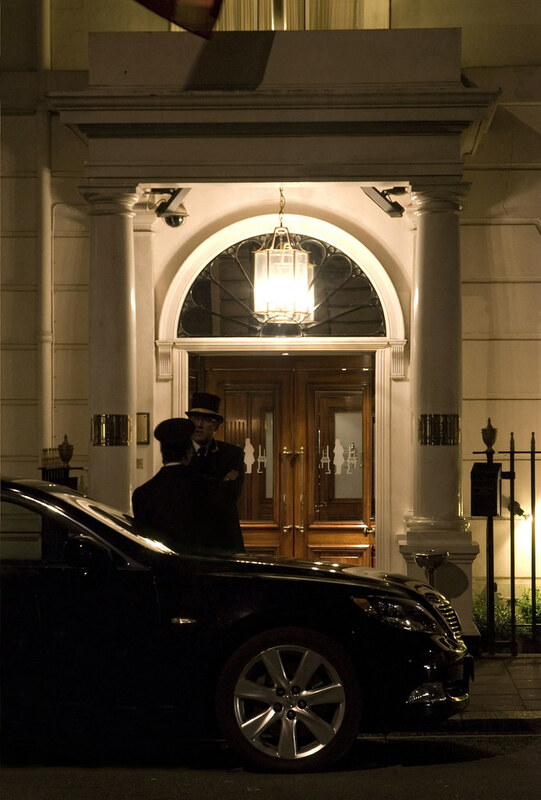 Like many of the high-end casinos in Mayfair, Crockfords also functions as a meeting place and convention centre for many different people. Their historic “Ballroom” can house up to 150 guests, but the “Gold Room” is ideal for smaller, more intimate parties. Because Crockfords prides itself on its exclusivity, a strict dress code is implemented in the casino. Formal wear such as a suit or a tuxedo is required to be worn by men who enter the casino, and women must wear formal dresses or cocktail dresses. No sportswear or caps are allowed in the casino. Patrons are free to walk in and use the casino’s facilities without having to sign up for membership. Of course, membership to the casino remains true to the Crockfords Club’s standards, as the approval of membership applications depends strictly on the discretion of the casino’s membership committee.